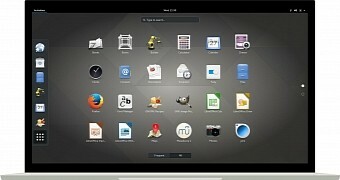 Red Hat Enterprise Linux 7.5 was released yesterday. New features include "enhanced security and compliance, usability at scale, continued integration with Windows infrastructure on-premise and in Microsoft Azure, and new functionality for storage cost controls. The release also includes continued investment in platform manageability for Linux beginners, experts, and Microsoft Windows administrators." See the release notes for more information. Red Hat changes its tagline from time to time, but this year the firm appears to happy being labelled as ‘the world’s leading provider of open source solutions’ — perhaps, with Microsoft and so many others picking up the flame, Red Hat feels it need to state its aim with such simplicity.